Puma professionals keep malls and shopping centers clean and looking great. Puma provides complete interior and exterior cleaning services for shopping malls, shopping centers and various other complexes. Puma provides cleaning maintenance programs as well as services on demand 24-7. If your mall or shopping center requires service daily, weekly, or other interval, Puma will work with you to create a cleaning maintenance program. Puma cleaning maintenance programs provide beautiful results and meet the highest level of expectation. Shopping center floors are heavy traffic and subjected to a constant barrage of dirt, grime, gum, spills, and stains. The highly trained Puma professionals keep mall and shopping center floors clean and beautiful. Heavy traffic on hard surface floors eventually dulls the appearance. Floor cleaning will not remove the scratches and scrapes of wear and tear. 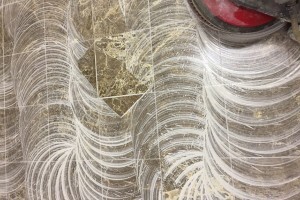 Puma cleans and beautifully restores marble and all types of stone floors including granite, terrazzo, travertine, slate, limestone, natural stone, and concrete. No job is too big or too small. The Puma professionals can take care of everything from window cleaning to cleaning an entire shopping mall. Puma Power Wash is a green company and environmental friendly; we follow all EPA regulations and use wash-water recovery on every project. We are fully licensed, insured, and certified.